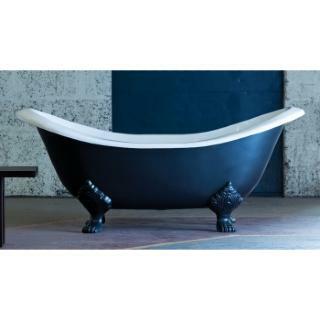 The Villandry double slipper cast iron bath is the ultimate expression of bathroom luxury. A glamorous bath that hints at a more hedonistic period, it brings all the drama and splendour of a 19th century French chateau to modern and traditional bathrooms. 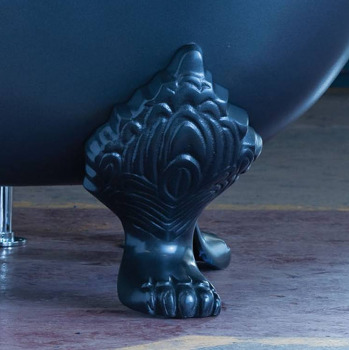 The Villandry also comes with distinguished lion’s paw feet. 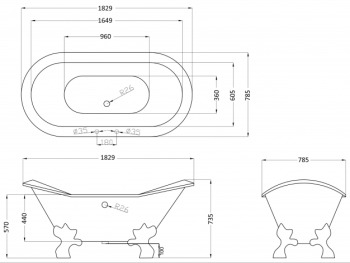 Our Cast Iron Baths Baths can be unique to your individual style, the standard price is painted in white primer, or for a surcharge we can paint the bath for you to match your period bathrooms. Simply provide a RAL colour number or manufacturers name ie Little Greene Portland Stone to match your chosen colour scheme . You have a choice for the feet of chrome, white or painted to match you bath. Simply select the option for the painted exterior above and choose to either have the feet painted the same colour or with White or Chrome Feet. Once you have placed the order we will call you to confirm the RAL number you have chosen. Painted bath Lead Time 2-3 Weeks. RAL number Required.